Christmas is almost here and New Year is not too far away. I’ve been busy setting up my goals and plans ahead of time. As you know, if I don’t have my plans written down on a paper, it can get quite overwhelming for me. I try to write everything down. That gives me some peace of mind and time to plan ahead of time. I love how the pastel colors are bright enough to bring out the chic in the planner, yet used very minimally. 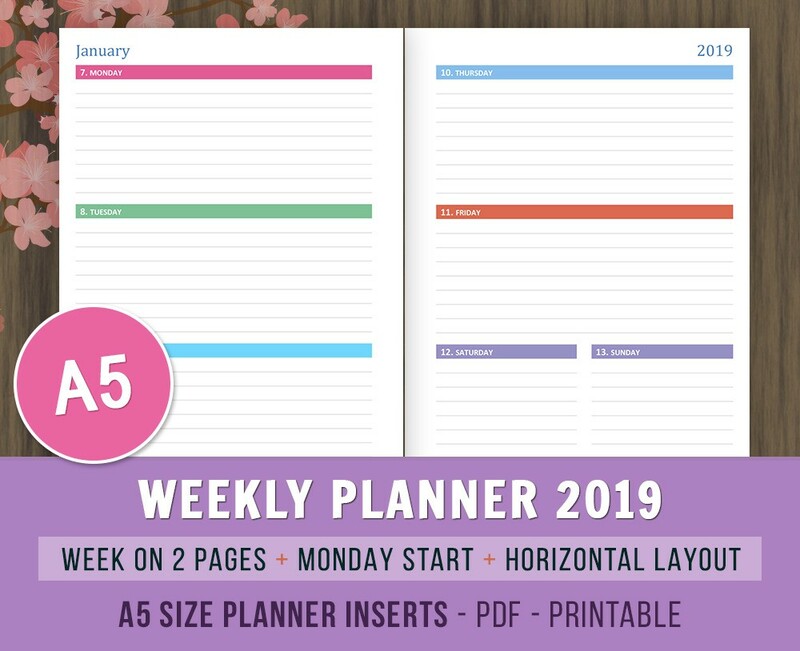 These dated Weekly Planner inserts come in A5 size, Horizontal layout, Week on 2 Pages, Monday Start and from January 2019 to December 2019. There are notes in the beginning and end of the planner. I also offer customization, so if you’re looking for something in particular, do not hesitate to contact me.